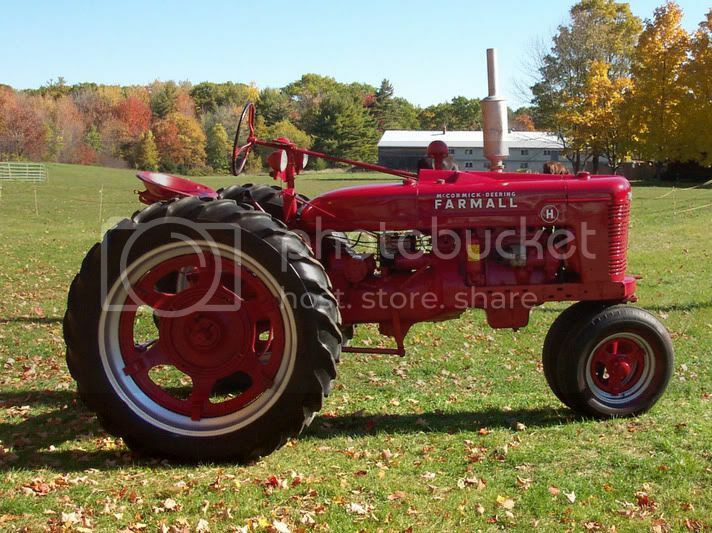 The Farmall H was a row-crop tractor that was produced from 1939-1953. The H was a fairly successful tractor, having over 390,000 sold. There were three different International Harvester engines used in the Farmall H: gasoline, distillate, and kerosene. They were all liquid-cooled four-cylinders with a bore/stroke of 3.375 x 4.25 inches and a displacement of 152.1 cubic inches. In fact, the only difference came in the compression ratio. The gasoline-ran H had a ratio of 5.9:1, the distillate-ran H had a ratio of 4.75:1, and the kerosene-ran H had a ratio of 4.5:1. 1967 was a big year for International Harvester, as well as their Farmall brand. This year brought about the release of their first tractor that could produce more than 100 horsepower: the 1206 Turbo. The IH/Farmall 1206 Turbo had a powerful PTO horsepower output of 112hp. While the vast majority of these were row-crop tractors produced under the Farmall name, over a thousand were “wheatland” models with a larger platform and heavier drawbar, and were produced with the IH name. Both models had basically the same engine, with the only difference being the Bore/Stroke. The Farmall engine had a Bore/Stroke of 4.321×4.625 inches, while the IH engine’s Bore/Stroke was 4.125×4.25 inches. 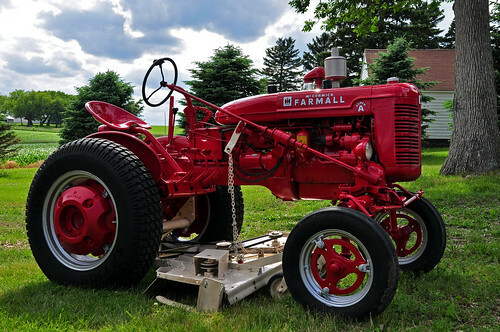 The Farmall Super A was manufactured by International Harvester in the years 1947-1954. The Super A was an updated improved model of the A. One of the biggest changes was in reply to the 3-point system of Ferguson used on the Fords, a new touch controlled hydraulic system. The Super A has 4 forward gears and 1 reverse gear, and featured a wide front end, a 113 cubic inch 4 cylinder gasoline and kerosene engine.